As well as discussing what is happening in our workplaces including the strike at the HCA / Homes England we have a guest speaker, Tony O’Brien. 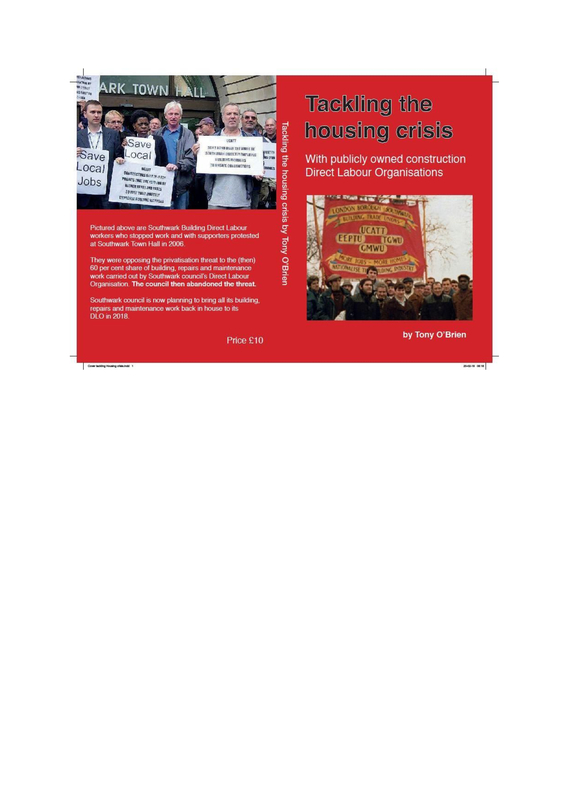 He is a Unite activist and construction worker who has written a new book on ‘tackling the housing crisis’. 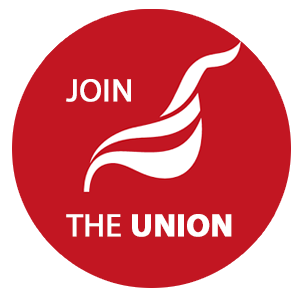 It is a chance to continue our discussion on housing see our recent resolution reponding to Labour's green paper and earlier resolution to the Unite policy conference and our submission to Labours consultation on social housing – we will also prepare a full response to the recent Green Paper from Labour. As usual the branch meeting starts at 6.30 on Tuesday 10th July (second Tuesday of the month) and you are invited to arrive from 6.00pm for snacks and informal discussion. We meet at the Unite offices in Theobalds Road Holborn see here. This book shows how local authority directly employed workers and the creation of a national public-sector construction organisation can be the answer to our corrupt system of control by the building companies and property speculators. The book argues that housing is a human right and the system for building housing has failed us. Councils must be allowed to put to work the hundreds of thousands of exploited and unemployed constructions workers, have large-scale quality apprentice training, far better safety standards and good conditions of work. The book looks back on the history of Direct Labour Organisations and how they hugely contributed to local authority social housing that governments have been intent on destroying. The price of housing has been driven up by governments allowing the private sector to not deliver adequate supply of truly affordable housing and starving local authorities from providing new social housing and maintaining its existing housing stock. The chief executive of the housebuilding firm Persimmon received a £110m bonus, while 150 most senior staff, were between them, given more than £500m in bonuses. This unearned wealth reported in December 2017 came as the company benefited from the taxpayer-backed help-to-buy scheme. Any other major failing construction organization should be taken over to become part of a new national public- sector construction organization. Governments should transfer all public contracts into this public-sector company. That's about 40% of all construction activity. Use this public-sector organization to build masses of new infrastructure. Expand local Building Direct Labour Organizations (DLOs) to build and maintain low rental social homes. End the housing crisis. In 2017 the National Audit Office (NAO) found that in over 700 existing public-private projects, as building schools, costs can be 40 per cent higher than using public money. The auditors also disclosed that taxpayers will be forced to pay nearly £200 billion to contractors for at least 25 years on projects with a capital value of just £60bn. DLOs were originally set up to overcome problems created by system of corrupt contracting.